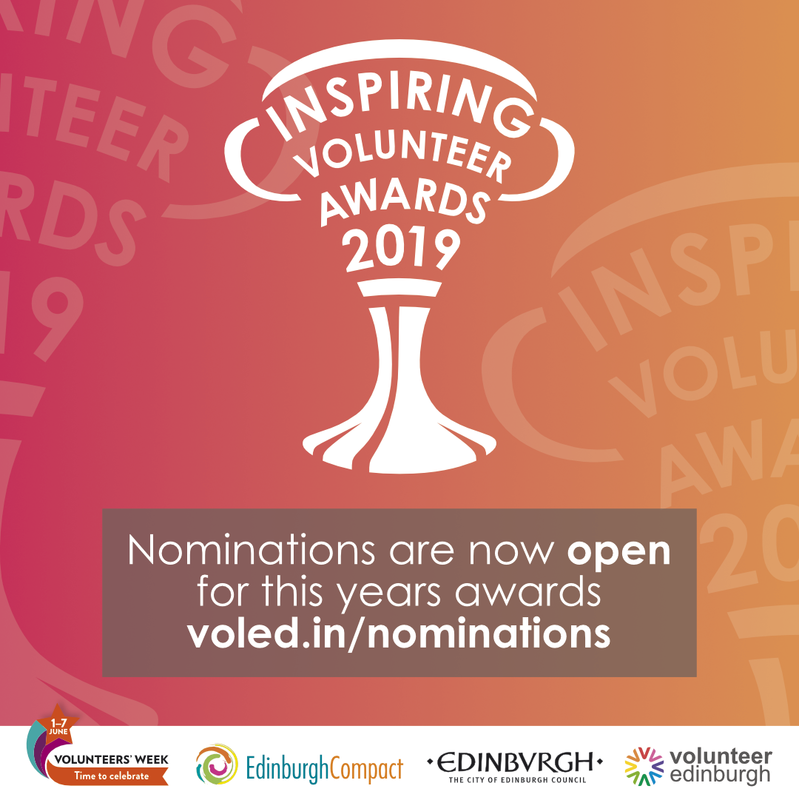 Is there an individual or a group within your organisation that deserves an Inspiring Volunteer Award? Why not consider nominating them. We want to recognise and celebrate as many volunteers as possible! Frank Ross Rt. Hon. 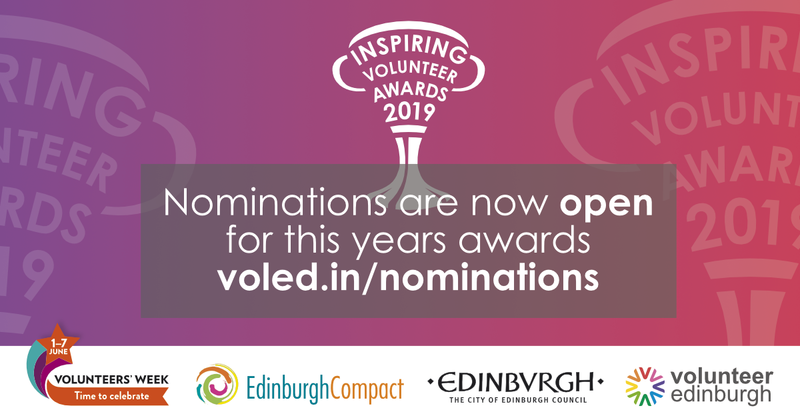 Lord Provost of the City of Edinburgh will honour some of the dedicated volunteers who give their time, energy and commitment to the people of Edinburgh at a special awards ceremony on Wednesday 5 June 2019 at The City Chambers. Pictured: Frank Ross Rt. Hon. 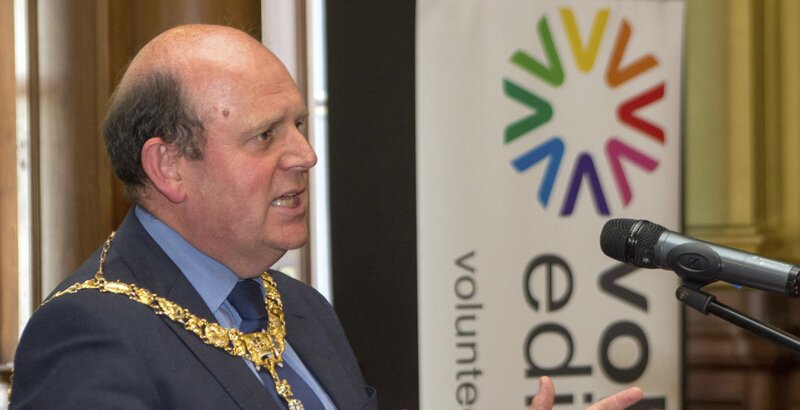 Lord Provost of the City of Edinburgh speaking at last years awards ceremony. 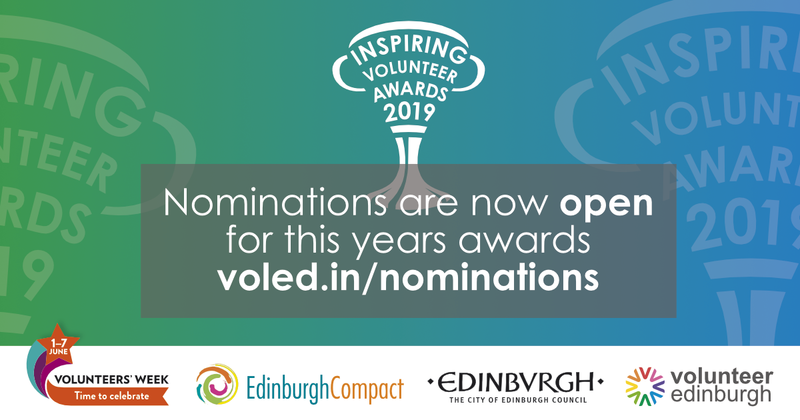 Edinburgh’s Inspiring Volunteer Awards reflects the exceptional range of organisations and individuals working in the city’s vibrant charity and non-profit sectors. Nominations are open and organisations can nominate by completing our online nomination survey form (also accessible by clicking on the button in the sidebar). 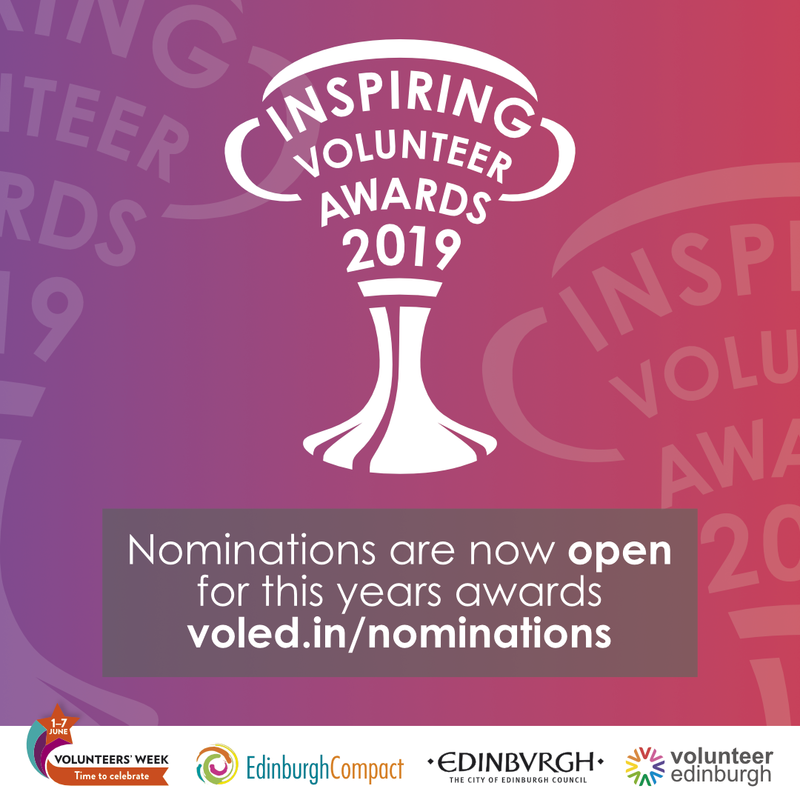 Organisations are able to nominate up to three individual volunteers, one team of volunteers, and up to three nominations for the Ian McInnes Award. Some lucky nominees will be invited to accept their award at the City Chambers, others will receive a certificate in the post. 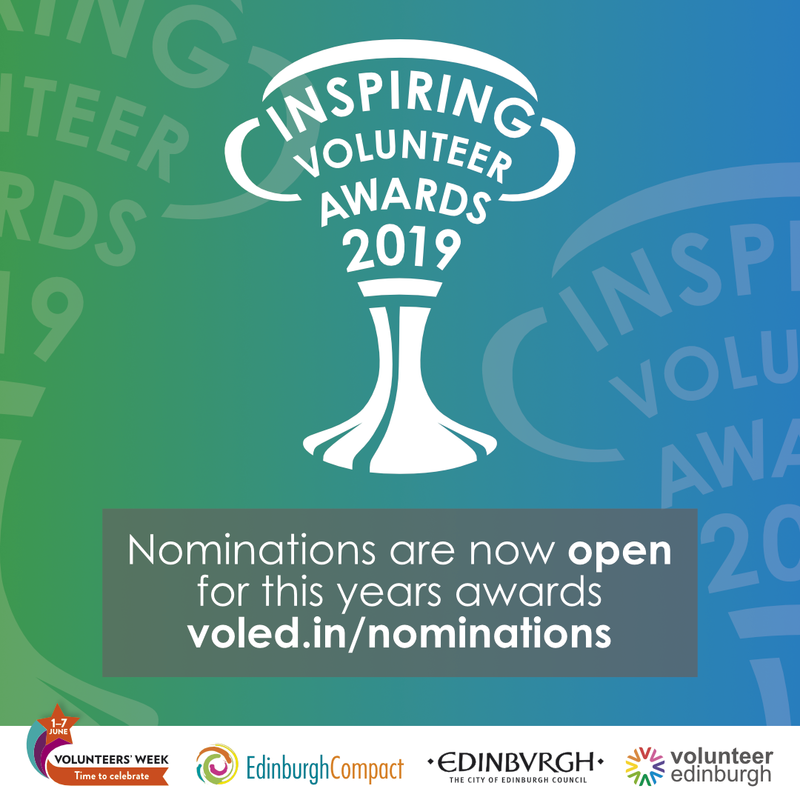 Please help us to promote the awards nominations using the promotional materials provided in the downloads box in the sidebar and use the short url voled.in/nominations and the hashtag #VolunteersWeekScot. If they have previously received an Inspiring Volunteer Award they should not be nominated again. 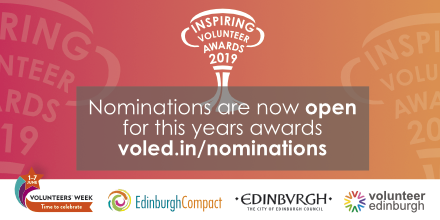 Shortlisted nominations will be considered by the Lord Provost for the ‘Lord Provost of Edinburgh’s Inspiring Volunteer of the Year Award 2019’. This award is for individuals who are engaged with organisations involving the arts, culture or heritage. 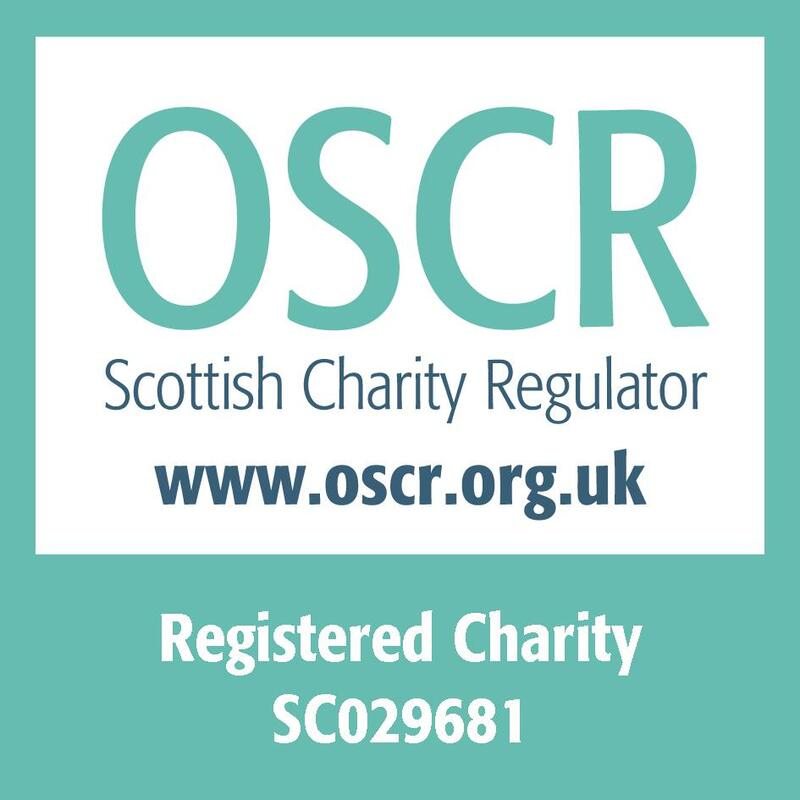 This award is for individuals who are engaged in a charity shop, whether a customer assistant, till operator or arranging donations through the back. This award is for individuals who are engaged with environmental activities, including education, outdoor learning, conservation or gardening. Volunteers involved in raising money for an organisation can be nominated for this award. 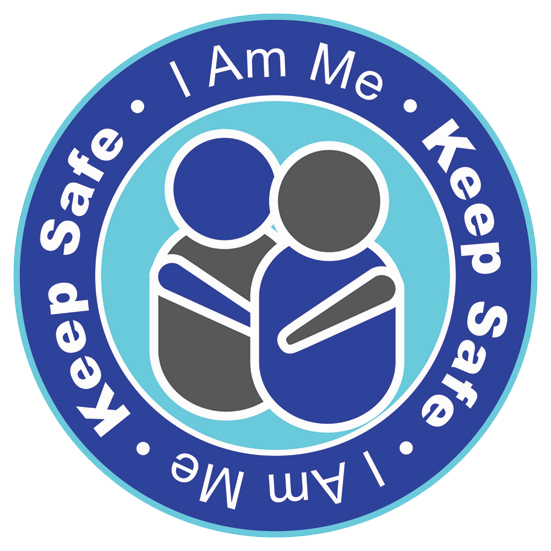 This award is for individuals who give support to vulnerable people in our communities which reduce social isolation and help assist independent living. This award is for individuals whose volunteering involves supporting sports, and active and healthy lifestyles in their communities. 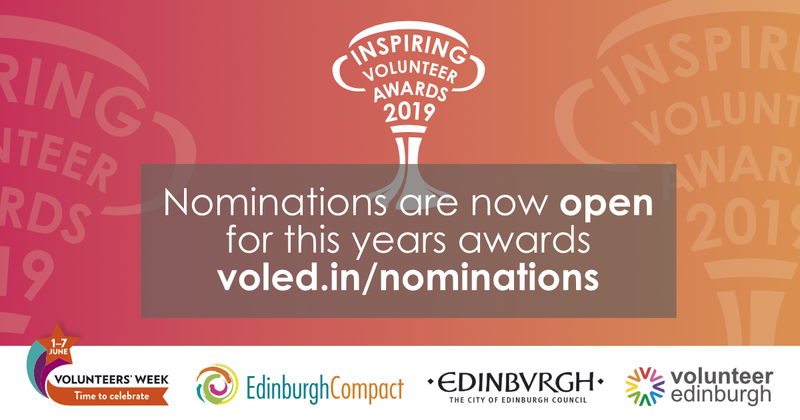 This award is for individuals who make or have made a huge contribution to transforming our communities and society by serving or have on a charity board/management committee. This award has been designed to highlight the contributions made by volunteers in housing sector. This award is designed to recognise a young person aged between 11 and 25 who has shown a real commitment to their volunteering. This award is for someone who’s volunteered within their community for 10 years of more, and have made an outstanding contribution. 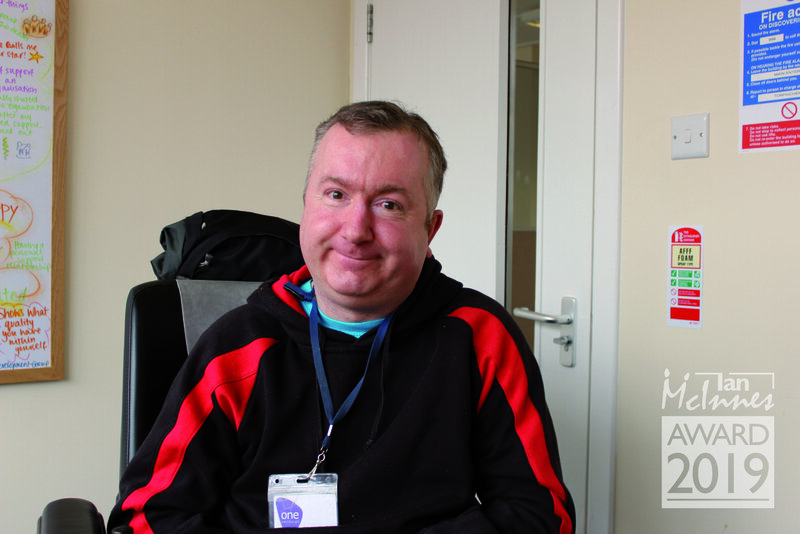 We are also proud to introduce the Ian McInnes Award as a new award category, which you can read about in more detail in our online survey form. Pictured: Ian McInnes at Volunteer Edinburgh. The Awards Ceremony takes place during Volunteers Week which runs every year from 1 to 7 June. 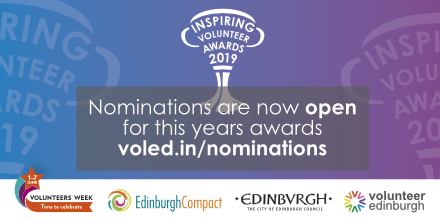 Nominations will close on Sunday 5 May 2019 at 10.00pm. We also encourage volunteer involving organisations to organise their own recognition events during Volunteers’ Week, whether that be their own mini-awards ceremony, coffee morning, lunch or social activity that recognises and celebrates the contribution of their volunteers. It’s a great opportunity to do something to say thank you, and show your volunteers that they are valued and appreciated. Click the ‘Nominate now’ button in the sidebar of this page to start submitting your nominations! For more information please contact Tom Goode at Volunteer Edinburgh by calling 0131 225 0630 or email events@volunteeredinburgh.org.uk.